Well, it's a new year. Time for new starts and trying out new things and expanding your horizons and all that. Painters really need to do those things from time to time to get out of the painting doldrums. We tend to get stuck in our well-worn ruts and caught up in our same ol' ways of doing things. We forget that creativity is the exploring of the fresh and the new. In that context, I propose a "new way" to paint or at least it may be new to a lot of painters. I decided to call this "new way"--freebrush, for lack of a better term, although it's probably not "new" or a "way." 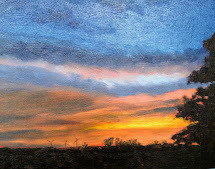 Be that as it may, * freebrush is--painting much the same way as an artist draws freehand. That is, you just paint with a paintbrush rather than draw with a pencil or pen or charcoal or marker or whatever you use. You don't first sketch, or outline, or trace, or project what you're going to paint. You just freebrush. You look very carefully and thoughtfully at what you're going to paint. You find a starting point, any old place will do, but I suggest the focal point. You pick up your brush and carefully deliver your stroke in just the right place--lay it down and then DON'T MESS WITH IT. 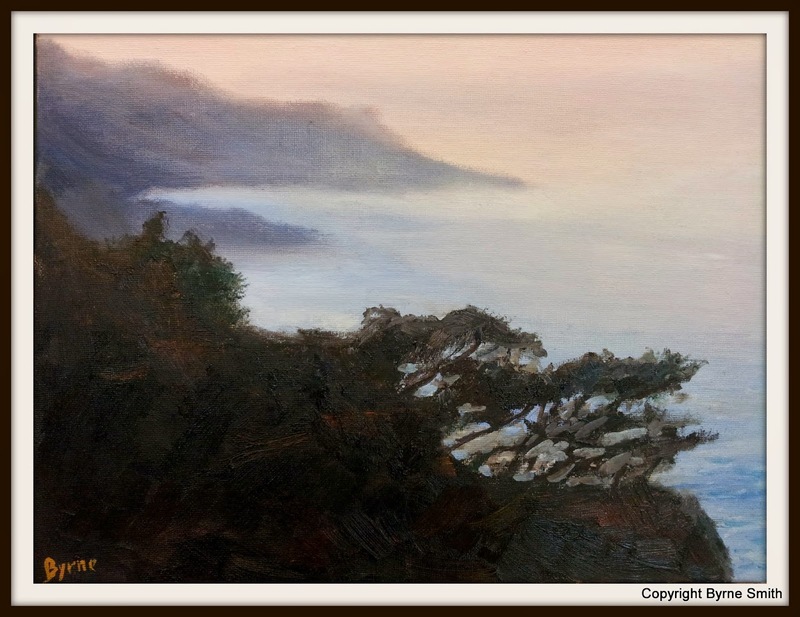 You do that over and over until you believe the painting is finished (a subject of another whole blog). I did not say it was easy. I said it may be a "new way" to paint for some. If you can draw, you can freebrush, and, conversely, if you can't, you're going to have a heck of a time of it. I think most painters would say that good painting begins with good drawing. 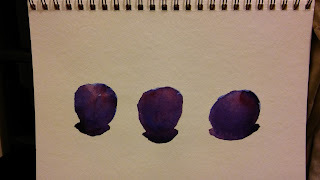 Today's simple painting of three plums may give you a place to start. Simple subject, simple background (and foreground), simple setup. This is watercolor, but any medium will do. I used just two colors, French ultramarine and alizarin crimson (hue). Just look and then freebrush it. With experience comes control. You may find, as I did, that it's hard to go back to painting the "old way" because I feel like I was just painting within the lines. This reduces some of that rigidness and lets you paint freely (or more freely). But to bring this full circle, learning how to draw and/or freebrush in the new year should get you out of those painting doldrums if nothing else. Happy New Year from The Painting Life.